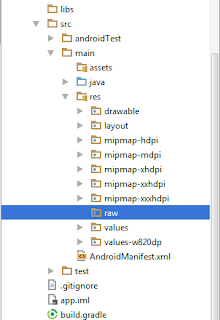 SHOW - How to create raw folder in android Studio? Step 1 : Open android project in android studio platform. Step 2 : Choose & open src folder. 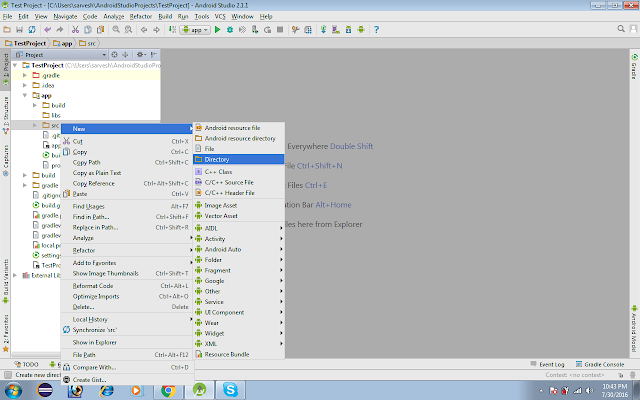 Step 3 : Then Choose res folder & right click on res folder. 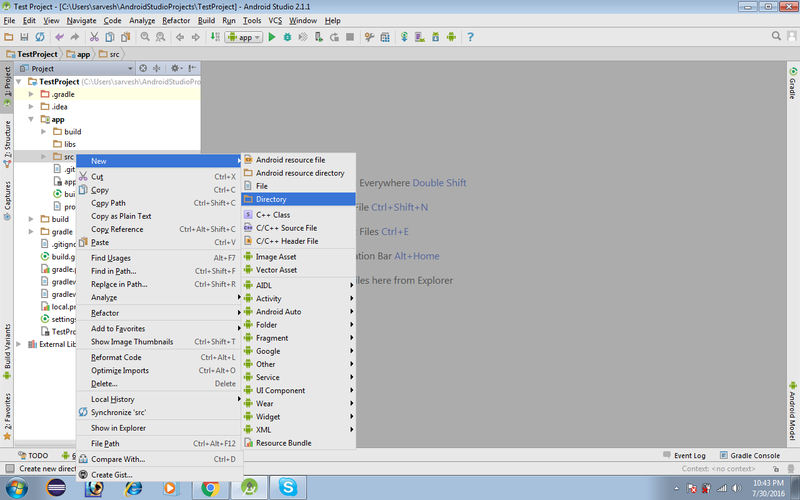 Step 4 : Then select NEW --> select Directory ,.